Can You Sue for a Car Accident if There is No Damage in Arkansas? Car accidents often result in thousands of dollars of property damage and medical bills. However, there may be a time when you are involved in a car accident but sustain no damage to your vehicle. Even if your vehicle was not damaged, you should not assume that you weren’t injured. If you or a family member was injured in a car accident, but there is no damage, you should speak with an experienced Fayetteville car accident lawyer. The legal team at Gunn Kieklak Dennis, LLP, have years of experience handling complex car accident cases from commercial vehicle accidents to motorcycle accidents. Gunn Kieklak Dennis is here to explain whether you can sue for a car accident in Arkansas if there is no damage. There is not always a correlation between the damage done to your car and the injuries your body sustains. As technology continues to advance, more vehicles are being designed to absorb the force of impacts with minimal damage. However, the lack of extensive property damage does not disqualify you from making a valid car accident claim. Our bodies are still vulnerable to various types of injuries, even if our cars come out of an accident unscathed. A common injury that may result from a no-damage car accident is whiplash. A whiplash injury typically occurs when a person’s head and neck rapidly swing forward and then snap back into place. A whiplash injury can occur even in low-speed car accidents, usually when the victim’s vehicle is struck from behind. If left untreated, whiplash may cause long-term or permanent pain or numbness. Another injury that could occur in a no-damage car accident is a concussion. A concussion is a type of traumatic brain injury that usually occurs when a person suffers a blow to their head. A concussion may also be caused if a person’s head and upper body are forcefully shaken. People may sometimes believe that they must lose consciousness to have a concussion, but that is not the case. It is even possible to sustain a concussion and not notice any symptoms for a period of time. If you hit your head during a car accident, you should seek medical treatment immediately to ensure you have not sustained a concussion. Even if there is no damage to your vehicle, it is important to seek medical treatment for any injuries you faced. 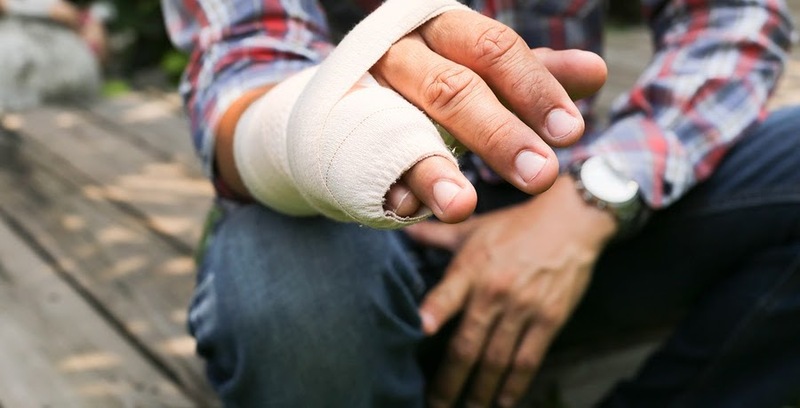 If these injuries were severe and led to expensive medical bills, lost wages from missed work, and serious pain and suffering, you may be entitled to sue for these physical injuries. Talk to our Fayetteville personal injury lawyers about your case. If you were in a car crash and only suffered injuries to your person, you may be able to file a personal injury lawsuit. When filing a personal injury lawsuit in Arkansas, you should be aware of the statute of limitations. The statute of limitations governs the amount of time an individual has to file their lawsuit. The statute of limitations applies to both civil and criminal cases. In Arkansas, the statute of limitations on personal injury cases is three years. This means that you have three years from the date of the accident to file your case. If you do not file your case on time, you risk the court possibly barring your claim. The statute of limitations only applies to the amount of time an individual has to file their case. Therefore, once your case is filed, it does not matter how long the case takes to adjudicate. The primary purpose of the statute of limitations is to avoid plaintiffs filing cases several years after the events. The ability to file civil cases 10 or 20 years after an accident would make it difficult for the plaintiff and the defendant to prove or defend their case with outdated evidence and unreliable memories of the accident. If you are concerned about filing a car accident lawsuit in a no-damage car accident, you should contact an experienced Fayetteville personal injury attorney. At Gunn Kieklak Dennis, our diligent attorneys will work with you to build your car accident claim. To schedule a free, confidential consultation, call us at (479) 439-9840, or reach us online.